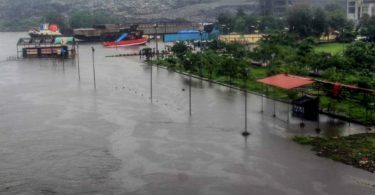 Mumbai heavy rains, Thane, Kerala and Karnataka Weather Today LIVE Updates: on Friday, The monsoon hit Maharashtra with several parts of the state capital Mumbai received heavy rains on the very same day and on Saturday. Suburban trains are running from Churchgate to Dahanu Road. Services are running normal between Churchgate- Bhayandar & Virar-Dahanu Road while it’s being run on restricted speed between Vasai Rd – Virar. All lines opened between Vasai Road – Virar. Several, incidents of the traffic jams and water logging were reported in the city with 4 people reportedly, died because of the weather-related incidents. The Rains were scheduled to arrive in the city from this 10th June but this year the phenomenon occurred much early. Though, the weather department said that the intensity of the showers is not that much high in the Mumbai. In Delhi, the national capital, a severe dust storm subsequent by rain struck yesterday evening which also bring respite from the sweltering heat. The Wind speeds went as high as 98 kmph. Visibility was condensed because the sky turned dark in the several parts of the New Delhi in the early evening. at the Delhi airport, the flight operations and Metro services were affected while traffic snarls and power cuts were witnessed across the whole city, because of the weather conditions. Many other cities such as Bhopal experienced rain showers yesterday. Southwest monsoon also hit the coastal regions of Kerala and Karnataka on the last week. While, on the other side, the IMD has predicted heatwave conditions over one or two pockets of Rajasthan in the upcoming few days. 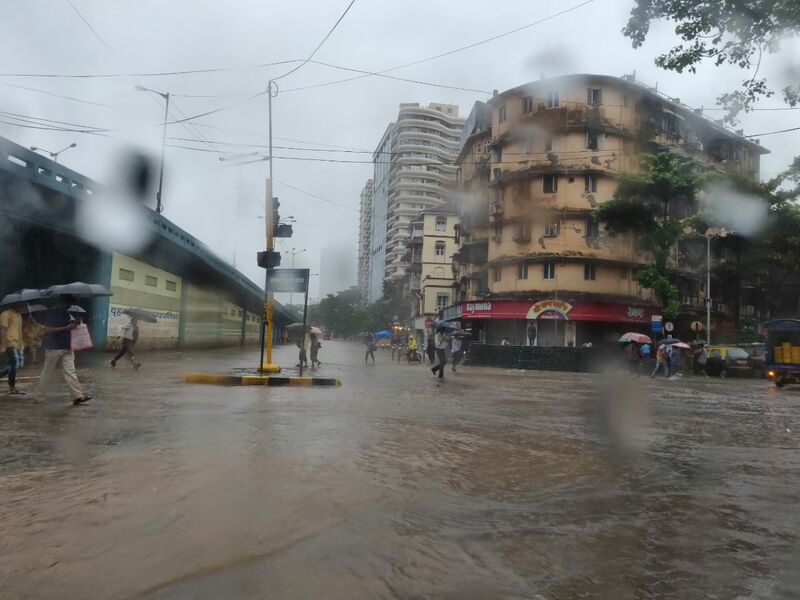 Mumbai residents raised questions on the issue of the, on the lack of preparedness of the Brihanamumbai Municipal Corporation (BMC), during Saturday’s heavy rains. On Saturday, Several parts of the town, being witnessed the waterlogged, due to, as mid to heavy rains fall in the city. Mumbai witnessed traffic snarls, train delays, and open manhole covers, among some other issues. 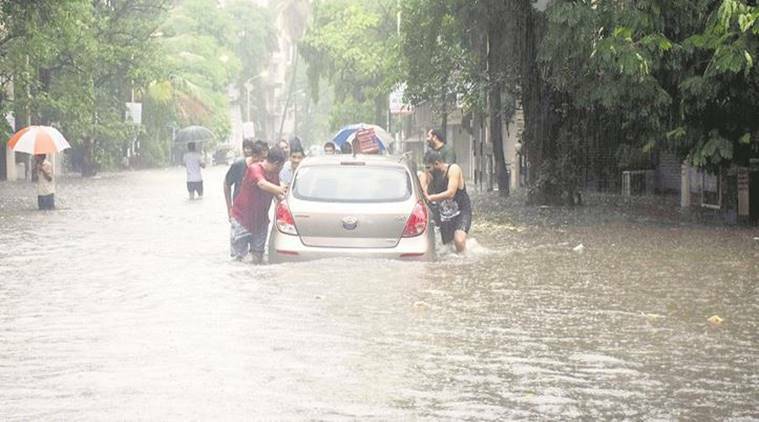 in Mumbai, Massive rains are an annual affair. The city witnesses waterlogging and flooding every year. Pre-monsoon showers had been also forecasted by the IMD well in advance for this weekend. A prominent gastroenterologist Dr. Deepak Amrapurkar died, in 2017, post falling into an open manhole near Elphinstone while walking along a flooded street during torrential rain in Mumbai. During yesterday’s showers in Mumbai, the traffic was halted at the end of a flyover because of the waterlogged road ahead. The IMD predicts that from 10 to 12 June, (Sunday to Tuesday), isolated to very heavy rainfall can happen in the Coastal Karnataka. The National Disaster Management Authority (NDMA) has issued multiple advisories for people in order to deal with the rains, floods, thunder and other natural disasters, which are very common during monsoons. On Sunday, Delhi woke up to a pleasant morning, with a minimum temperature of 23.4 degrees Celsius, which is five degrees below normal. The IMD forecasted very light rains or drizzle for this evening in Delhi. The weather department has suggested that genuinely, the fishermen not to venture out into the sea off the Konkan and Goan coast till 12th June, because of the bad weather at sea are forecasted to be rough. The weatherman stated that the maximum temperature today which is supposed to be very close to 39 degrees Celsius although the minimum temperature will be around 32 degrees Celsius. The Met Department also has said that the sky will likely remain cloudy on Monday and Tuesday. The India Meteorological Department (IMD) has predicted that New Delhi can be hit by the dust storm go together with by light rain today also, which is expected to bring down the temperature. Delhi-NCR and its adjoining areas experienced the season’s sixth and the worst storm on Saturday with the wind speed reaching up 98 kmph subsequent by the light rain. In New Delhi, The sudden dust storm affected visibility, which is leading to as many as 29 flights being diverted. Metro services were also exaggerated. The weather department has forecasted about the more rains for Mumbai today as the monsoon has arrived one day early in the town. Rains have been predicted for other parts of the state also, which is consists of the Thane district, as the monsoon advances and spreads across the state. Skymet weather report has said that the, “extremely heavy showers” along the coastal region from north Coastal Maharashtra to Kerala via the trough itself has now shifted south, taking all weather activity to the southern regions alongside the dusty storms.